We’ve had some exponential growth recently and we’d like to introduce you to a few new faces in our team. 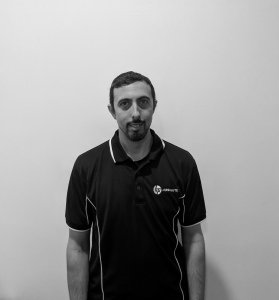 Drew, joined the team as our Service Delivery Manager, having previously worked at the National Museum of Australia as their IT Operations Manager. Drew has worked in various roles as a Senior IT technician and Manager across both the Government and Private sectors. Drew previously worked to establish and on-board the first clients of the Cultural and Corporate Shared Services Centre. In all his roles Drew has worked on a broad range of I.T systems, with a focus on ensuring IT systems support business needs and end user requirements without getting in the way! He enjoys working collaboratively with clients to find ways to use IT systems to support and enable their business. Outside of work Drew likes to keep fit and strong with Power-lifting and wind down on weekends by travelling around Australia. He enjoys a good Whisky and has 2 cats! Michael, (commonly referred to as rak) has joined the team as the Finance Officer in November responsible for all things finance people do. 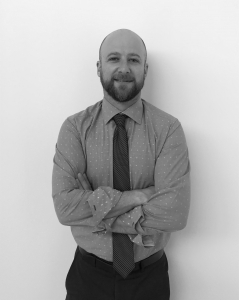 Michael has a diverse background and skillset and most recently spent 4 years working as the Director of Sales Optimization for autotrader.ca based in Toronto Canada. Outside of work Michael enjoys getting out for a bicycle ride through the hills of Canberra, taking his 16yo kelpie Kira for a walk by the lake, and as many travel adventures that time will allow with his partner Erin. Allan, joined Netier in late July 2018 with over 12 Years working in the ICT Industry. Allan has completed a Cert II in Information Technology & a Cisco CCNA, along with many specialised Vendor Specific Certifications. He has experience in Sales Support & Technical Pre-Sales Specialist Roles within both the Distribution & Reseller Channels in both NSW & QLD. This knowledge assists Allan to provide the most cost effective, best of breed solutions for every customer requirement. End-User Compute: Laptops, Desktops, High-End Workstations & Collaborative Technologies. Data Centre Technologies: Server, Storage, Networking (Wired & Wireless) & Power Management. Outside of work he enjoys spending quality time with his family and enjoying the open roads on his motorcycle. Josh, has joined our Brisbane team in October after spending five years working for Brisbane Boys’ College (where he also went to school!) as both a Client Support Officer, and more recently as Infrastructure Administrator in the schools Technology Services department. In these roles Josh has been focused on providing a high level of support with an emphasis on customer service, building relationships with the clients to ensure that their impression of the Technology Services department was a positive one. Outside of work Josh enjoys playing competitive card games such as Android:Netrunner and Star Wars: The Card Game, as well as other various games.